For the good test taker and the strict list maker. For the rule follower, the fear wallower, the messy, and the misunderstood. For the self-critic, the silent judge, and the girl who feels invisible. For the girl who is tired of trying and the one afraid to fail. 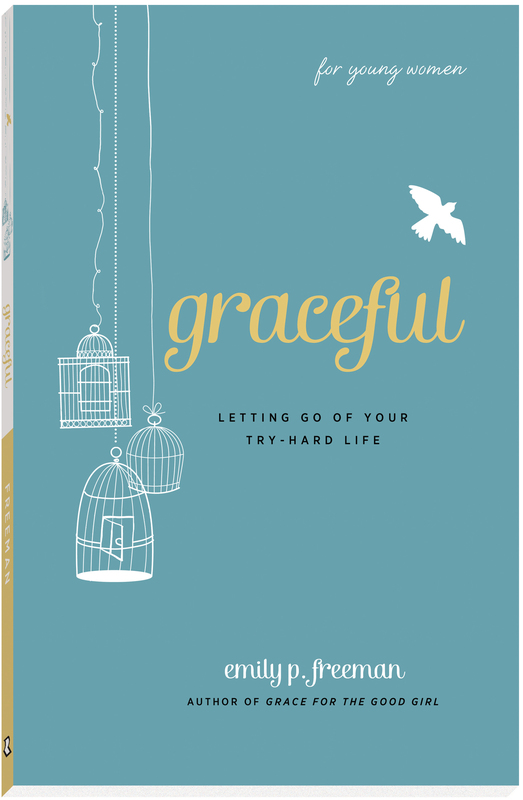 Graceful encourages the teen girl to let go of the try hard life and instead remember that because God is graceful, she is accepted, seen, and loved. Graceful is a book for high school girls between the ages of 14 and 18. Read the first 28 pages for free. Six-week guide for small group leaders to lead girls through the book. Download this flyer for the youth pastor or youth leader at your church. Includes bio, excerpts, and possible interview questions.